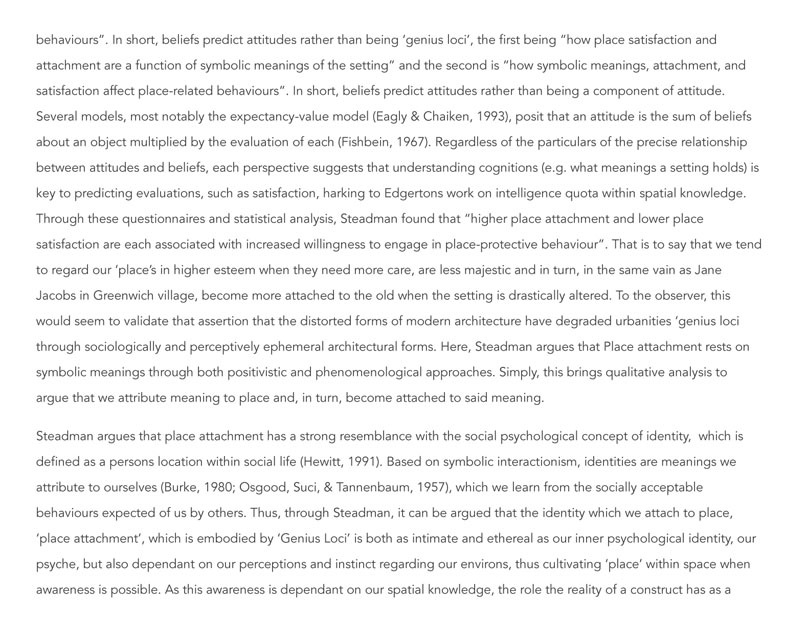 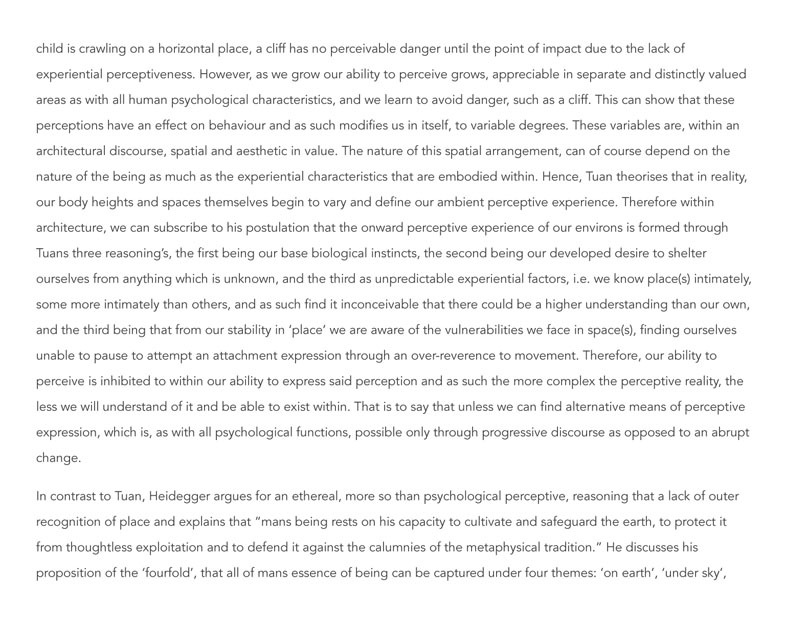 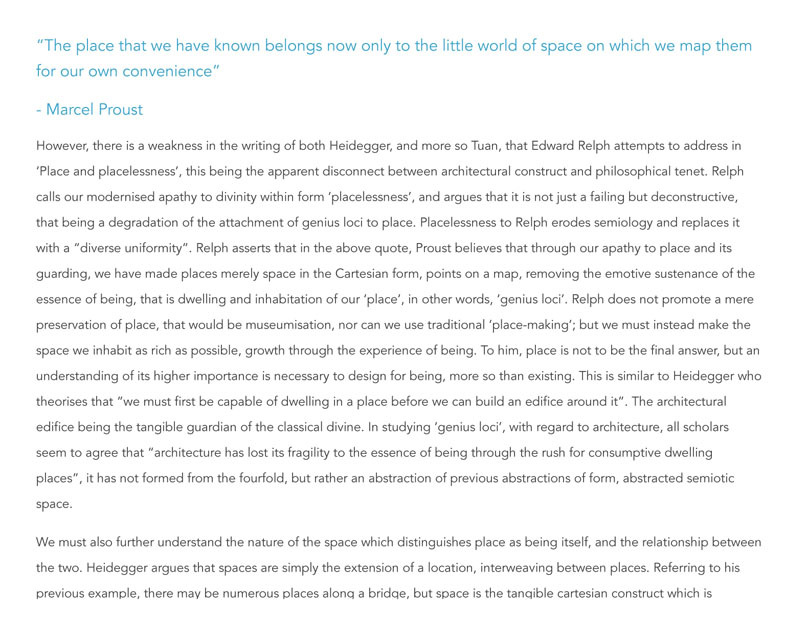 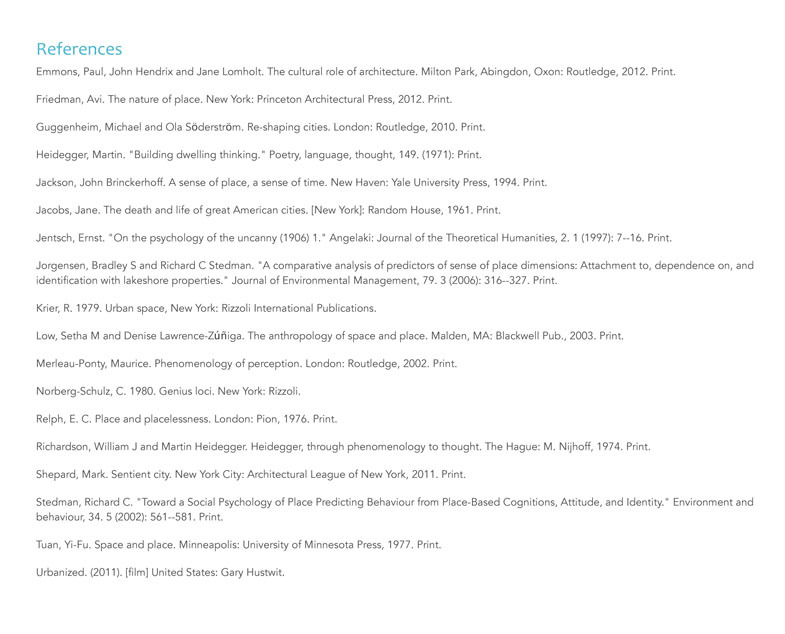 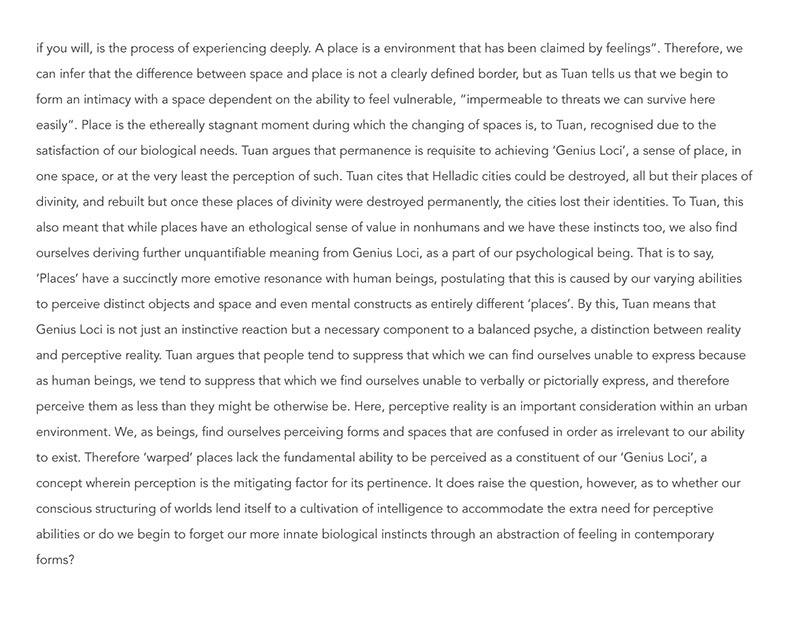 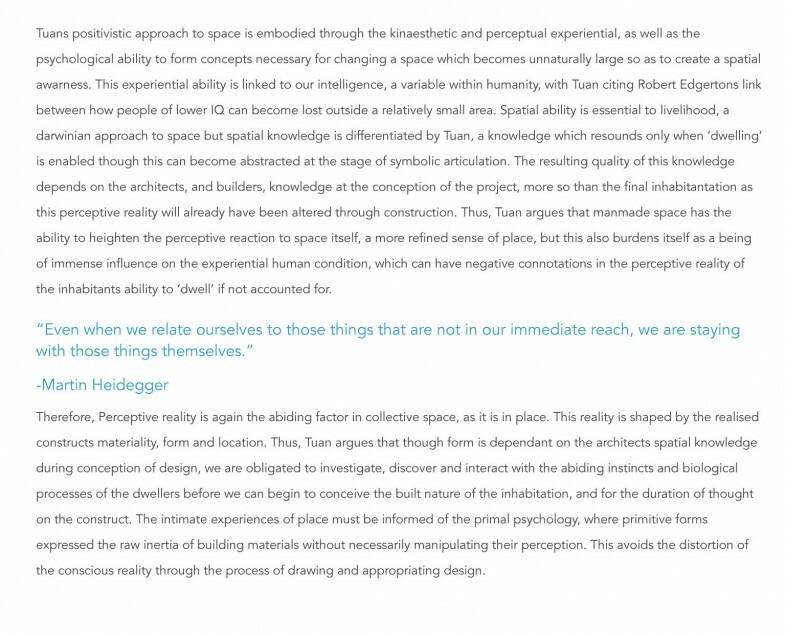 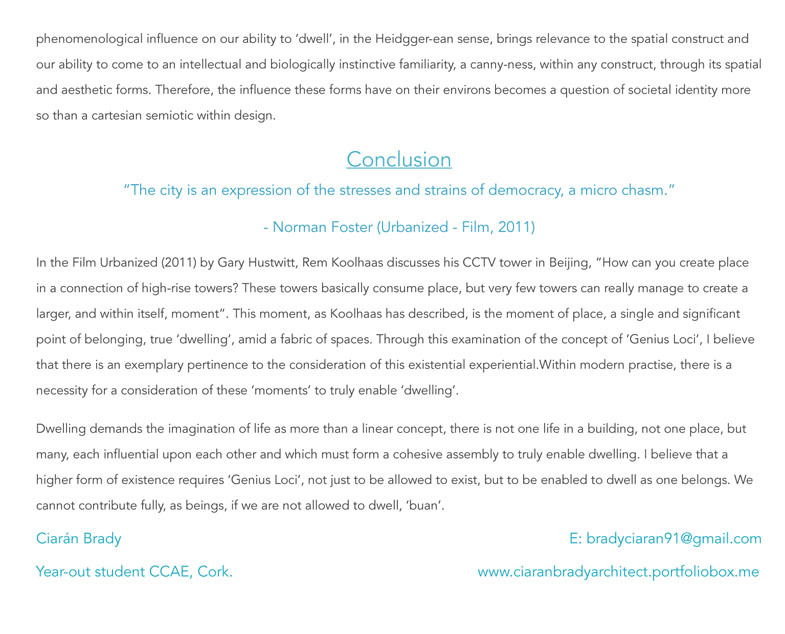 Over the last 60 years and further, there has been an enormous amount of theoretical discussion over what the term ‘sense of place’ means. 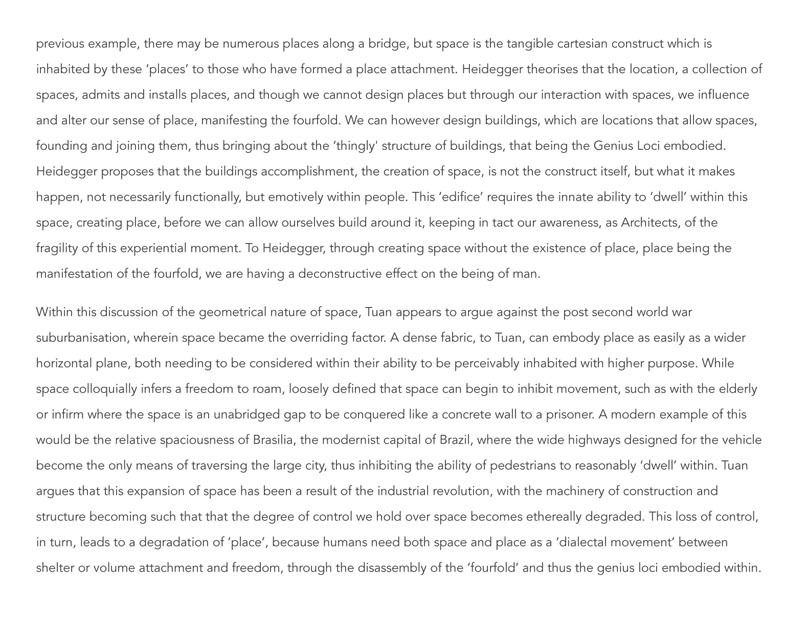 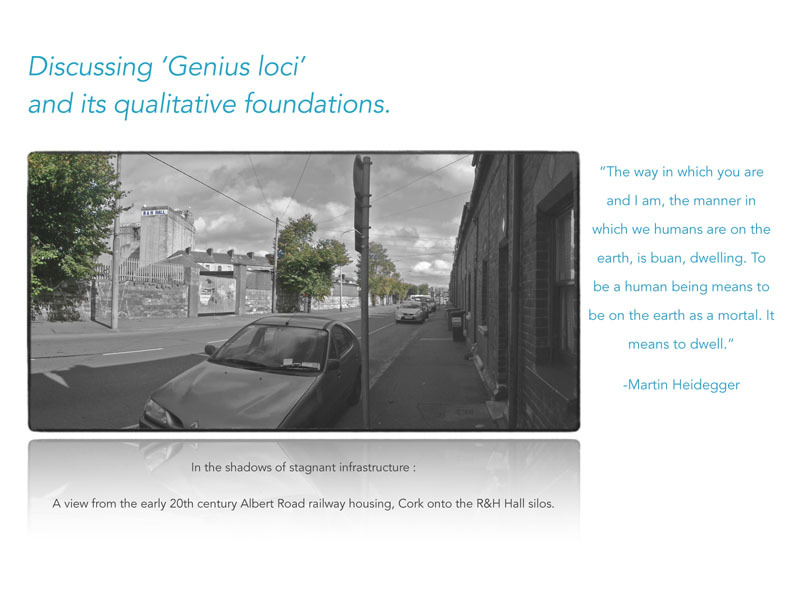 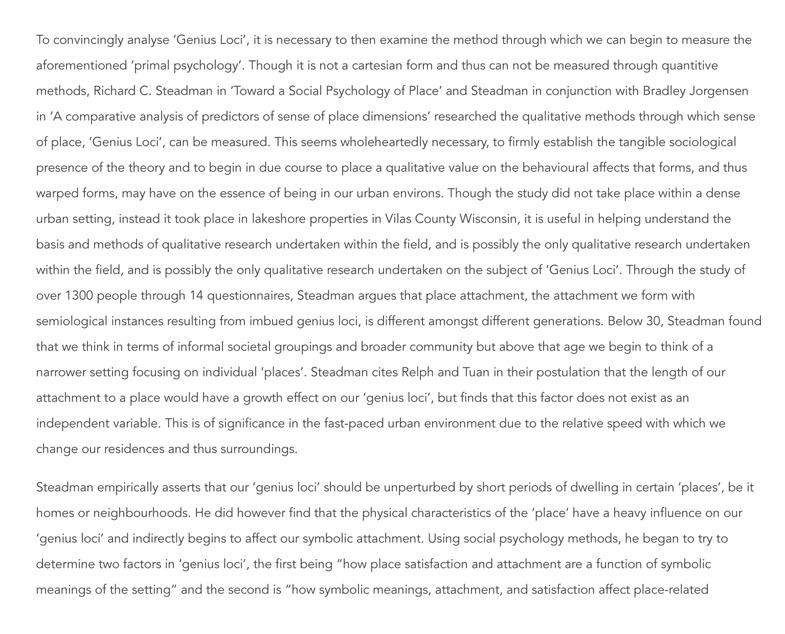 A chiefly architectural term, it is in fact quite an awkward translation of the Latin ‘genius loci’. 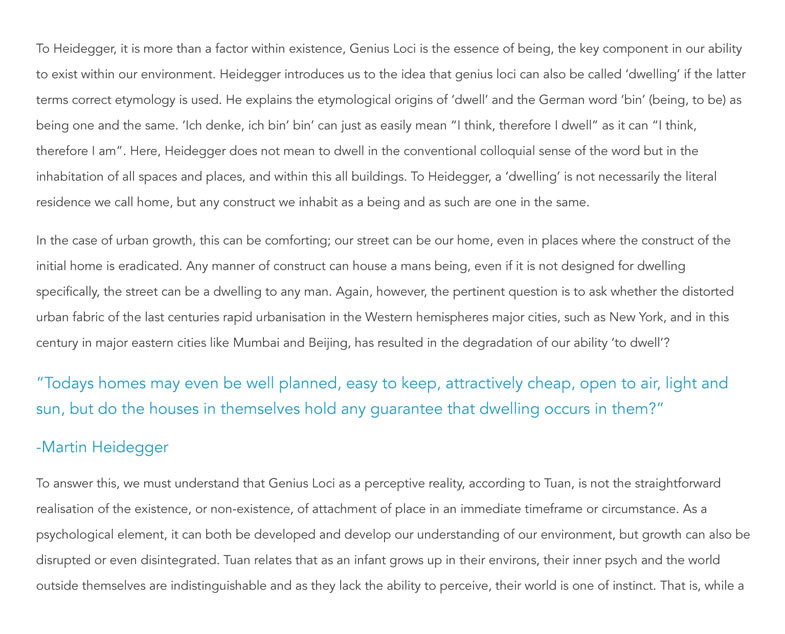 The classics defined genius loci as the guardian of the divinity of a place, not just the place itself. 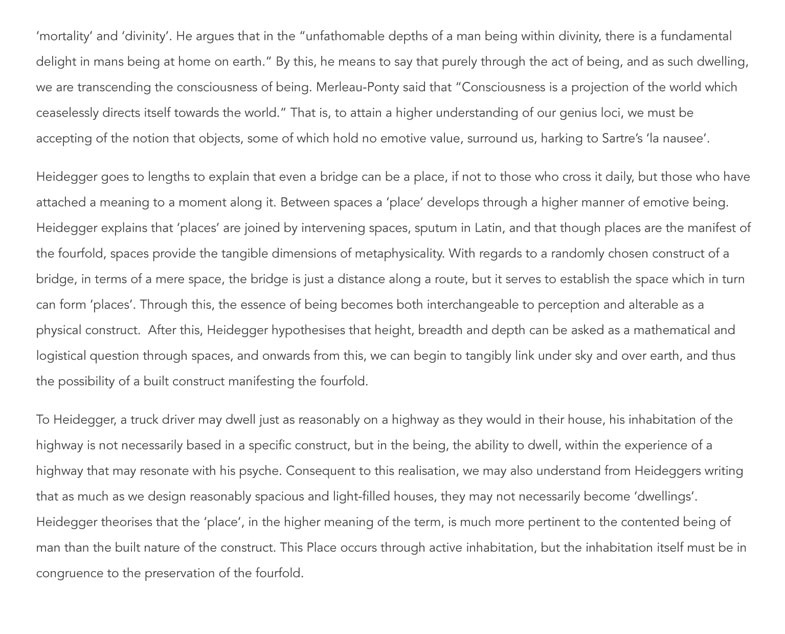 A locality, in their view, took most of its ethereal qualities from it’s being guarded by the supernatural, which was then paid reverence to and provided them with a sense of connection between the heaven and earth. 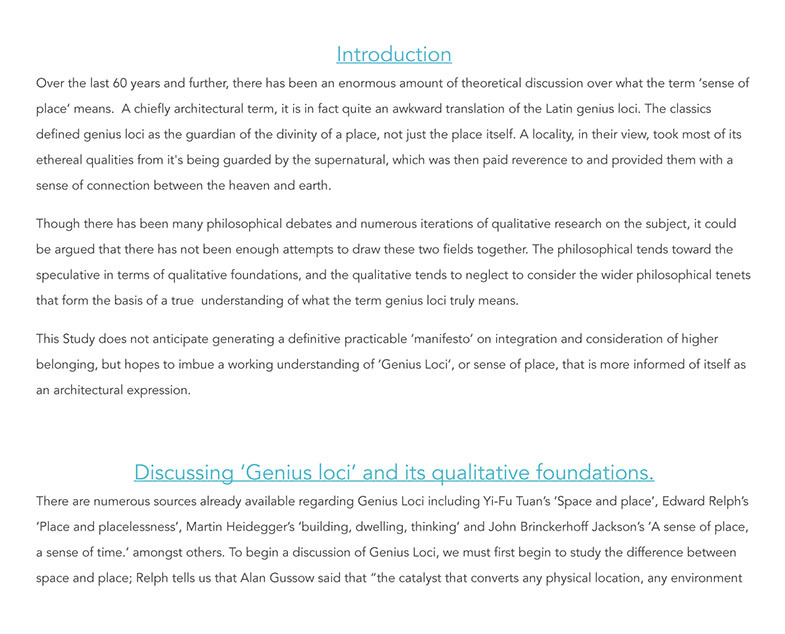 This essay sets out to examine the abiding significance of genius loci, by looking at the works of Yi-Fu Tuan, Martin Heidegger, and Edward Relph amongst others.